Latvian watercolour painting is becoming ever more complex. Its emotional rendering is richly nuanced, and pictorial culture is of key importance. In this exhibition, watercolour painting represents all aspirations and quests that have emerged in the course of the historical development of this medium, which makes it difficult to give a straight definition to all these phenomena. Instead of clear-cut, rigid notions, we can talk about movement across a continuum. From graphic to pictorial qualities, from lyrical to expressively dramatic traits and so forth. It means that contemporary watercolour painting cannot be reduced to narrow concepts which fall into strictly outlined technical methods. Rather, one should speak, with good reason, of a broad and open watercolour concept with a wide range of techniques for highly expressive rendition. Artists Irēna Lūse, Irīda Lazdiņa, Helēna Heinrihsone, Ieva Spalviņa, Anita Meldere, Inese Siliņa, Baiba Priedīte, Jānis Spalviņš and Dainis Gudovskis are active participants of watercolour exhibitions. They each have their own manner of painting, preferred forms of visual expression and favoured range of topics. Each has developed their own style, marked by outstanding technical execution, creativity and an ongoing quest for new compositional solutions. By mixing such traditional materials as watercolour paper with untraditional ones, such as linen, cardboard, wrapping paper, etc., different watercolour pigments, India ink, wine, varnish, glue and so forth, the artists achieve striking and unusual results. Their diverse approaches to watercolour, distinct philosophies and individual interpretations of current themes and events attract genuine interest and entice both Latvian and international audiences to their group exhibitions and solo shows alike. Each of the artists is a true master of watercolour painting with an outstanding technical skillset, developed by high-quality education and training at J. Rozentāls Secondary School for the Arts, the Art Academy of Latvia and Daugavpils University. 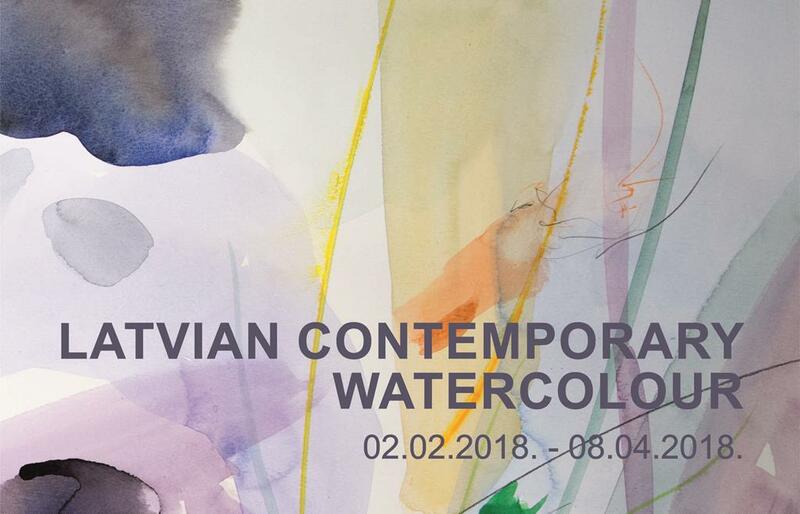 Participants of this exhibition are united in their love towards contemporary watercolour painting and a genuine wish to carry Latvian culture out into the wider world. To them, international exhibitions and watercolour symposia are both – an opportunity to exchange experience and a way of keeping up with the latest trends in watercolour painting. A true testament to this ceaseless creative drive is their participation in such artistic forums as the Beijing International Art Biennale (China), the Baltic Watercolour Triennial in Rīga (Latvia), the Baltic Bridges Biennale in Kaunas (Lithuania), the international watercolour biennale in Petrozavodsk (Russia), the European watercolour forum “Paper, Colour, Stone, Water” in Istanbul (Turkey), the international watercolour and graphic art forum in Agazzi (Italy) etc., as well as their group exhibitions, which have, so far, been held in Germany, Finland, Norway, Sweden, Ireland, Albania, Lithuania, Slovakia, Belarus and China.